This week, we have a whopping 11 demonstrations to give you inspiration on how to use the fabulous Dovecraft Floral Muse and Back to Basics range. 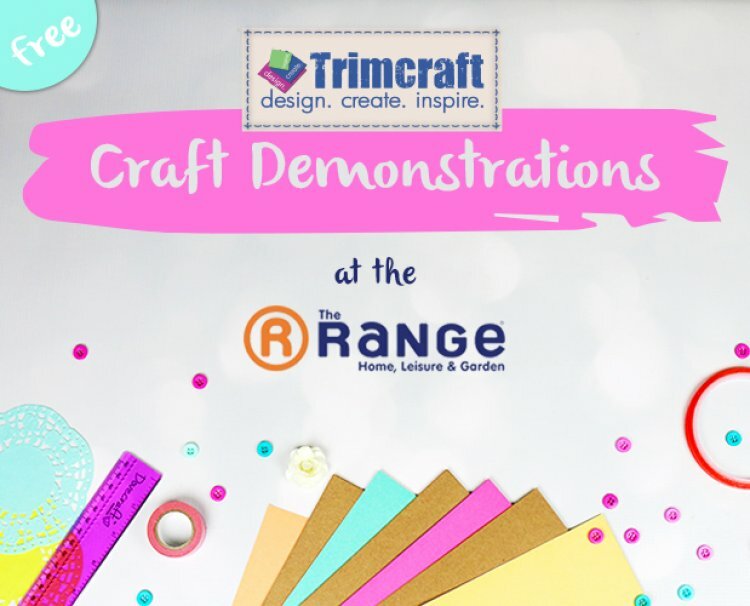 Our demonstrators are super helpful, so why not head to one of these addresses and pick up some ideas for your next craft project! Next week we have demonstrations in Torquay, Southampton, Corby, Taunton, Hereford, Sutton in Ashfield, Dorchester, Stevenage, Stockton, Bolton and Maidstone, how exciting! Pop back to find out the details for these demonstrations. Here's the list for the demonstrations happening across the next few months.